Will fit Keurig 2.0 systems such as K200, K250, K300, K350, K400, K450, K500, K550. You get what's in the pictures! Nothing else. I'm led to believe that there are. Works with Keurig 2.0 brewer, Elite B40, Classic B44, Ultra B50, Special Edition B60, Ultimate B66, Plantinum B70, Plantinum K79 Plus, Officepro B145. Great coffee starts with great water. GoldTone water filter products elminate impurities found in your water. 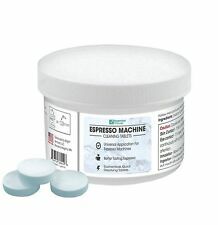 Essential Values Espresso Machine Cleaning Tablets For Jura, Breville and Miele, 30 Count. Regularly cleaning your machine is an important part keeping your espresso machine working efficiently and for reducing mineral build up that cause bad taste in your espresso. 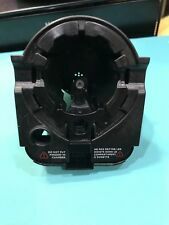 Keurig 2.0 K cup holder replacement part, Part 1 & 2 Kcup K250, 350 - 550 NEW!! The coffee filter paper can match filtering cup, works with standard for Keurig machines. Easy to clean and easy to use, just place the filter in a K carafe cup, fill with your favorite kind of coffee, close the lid and brew away. 12-cup carafe, Ergonomic handle, Dripless spout, Knuckle guard. Alternative to genuine part number - DCC-1200PRC. Take a step towards a healthier brew with our water filters. Great coffee starts with great water. The water filter products elminate impurities found in your water. Keep your cup fresh and pure with Premium Filters Direct premium water filters. Ingredients: Citric Acid, Sodium Bisulfate, Sodium Carbonate, Sodium Gluconate, Sodium Acetate & Polyethylene glycol. BEST VALUE descaling Tablets on Amazon! Use 2 tablets per cleaning giving you 6 months of use. 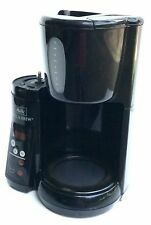 New Cuisinart Coffee Maker, 12-Cup Filter Basket, DCC-1200FB. Trending at $15.86eBay determines this price through a machine learned model of the product's sale prices within the last 90 days. Manufacturer: Bunn - Bloomfield - Schott (varies). Clear Glass. Capacity: 12-cup/64 oz. (industry standard). VALUE - All the quality of CUISINART charcoal filters, for less! 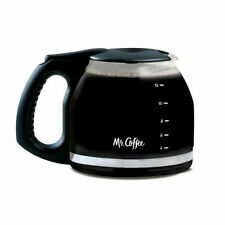 COMPATIBLE - Specifically designed for CUISINART coffee makers. Great coffee starts with great water. GoldTone water filter products elminate impurities found in your water. Coffee Descaler For The Reduction Of Scale & Mineral Build Up On Single Use, Coffee Pot & Espresso Machines. Works with Keurig 2.0 brewer. KEURIG 2.0. There is increasing evidence that drinking coffee may substantially reduce the risk of developing the most common form of diabetes. SPECAIL EDITION B60. CLASSIC B44. Simply assemble the water filter and insert into the Water Reservoir of your Keurig 2.0 brewing system. Also, the reusable k-cup gives a better taste to your coffee and it is eco-friendly. 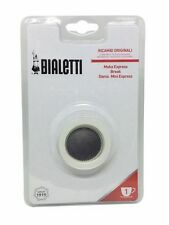 Fits Keurig 2.0 and compatible brewers. Trending at $11.05eBay determines this price through a machine learned model of the product's sale prices within the last 90 days. Keurig brewer performance matters. Compatible with all Keurig brewers. It says it all. 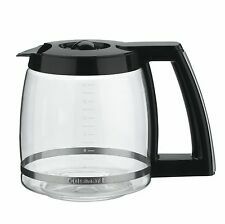 Item For Sale: Keurig 2.0 K Carafe Pitcher and Lid Coffee Pot Never Used. This happens more often than not. This set of charcoal filter refills by Keurig improves the water quality and prolongs the life of your machine. Works with Keurig 2.0 brewer. KEURIG 2.0. There is increasing evidence that drinking coffee may substantially reduce the risk of developing the most common form of diabetes. Fits "Mr. Coffee" iced tea makers - series TM1. Size : 2 Quart. Color : Clear. • Works with Keurig 2.0 brewer, Elite B40, Classic B44, Ultra B50, Special Edition B60, Ultimate B66, Plantinum B70, Plantinum K79 Plus, Officepro B145. Brew perfect carafes of your favorite coffee flavors with these convenient, disposable filters. Designed to fit perfectly with your Keurig K-Carafe reusable filter cup, these high-quality filters are made of thick, 100% biodegradable paper. Perfect for preparing coffee such as latte, cappuccino. A must have for any coffee enthusiast. Silver Stainless Steel Jugs. High quality stainless steel jugs. Made of premium, extra thick stainless steel, durable in use. We are authorized service for many manufacturers. Turnpike Appliance Service. LOCAL PICK UP. Keurig ® hot My K-CUP 2.0 ! Reusable coffee filter ! UPC: 611247357644 ! UPC Code: 611247357644. The only reusable coffee filter approved for Keurig 2.0® K-Cup® brewers. Item: Keurig® Hot My K-Cup 2.0 Reusable Filter. Keurig® My K-CUP Universal ! Reusable coffee filter ! UPC: 611247364987 ! The only reusable coffee filter approved for all Keurig ® K-Cup® brewers. 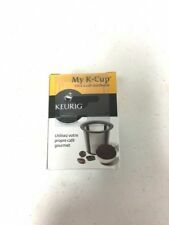 Item: Keurig® My K-Cup Universal Reusable Filter. This assures uniform extraction since the water filters through all the grounds on its way to the apex of the cone. 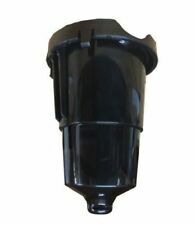 - Fits most other conical filter coffeemakers. We would love to keep up with you and hear about your experience. For use with Cuisinart models. 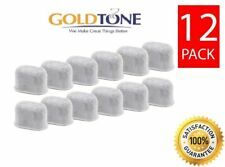 Premi um Charcoal Wate r filters Designed for all Cuisinart model coffee makers - Set of 12 Filters. FDA and ROHS standard certified. Filter size: 1-7/8" x 3/4" x 1". more often if you have hard water. 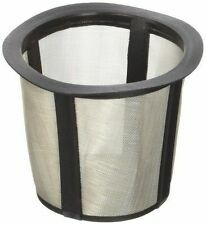 New inner brew basket for Mr. Coffee, 137034-000-000. Replaces your Cuisinart reusable coffee filter. Fits all Cuisinart coffee machines that require a #4 cone coffee filter. These filters clean easily under running water and are dishwasher-safe. FULL FLAVOR - Permanent coffee filters let all of the coffee flavor through for richer tasting coffee. Type Water Filter. Resistance Water. Features Built-In Water Filter. Product Key Features. Fuel Type Charcoal. Compatible Product Single Serve Brewer. Size Single. Product Identifiers. Trending at $9.86eBay determines this price through a machine learned model of the product's sale prices within the last 90 days. 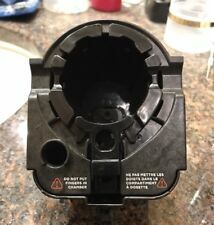 KEURIG Replacement Part 2.0 K300 K350 Water Reservoir/Tank Different Conditions!